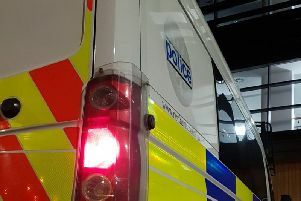 A 20-year-old man was robbed by two people who claimed to be police officers while he was trying to climb through a window of his own home. The man was trying to get back into his house between 10.15pm and 11pm on Friday, August 14, after forgetting his keys, when he was approached by two men. They claimed to be policemen and asked him questions about whether the house was his. They then searched him and took his wallet before pushing him to the ground and kicking him. The robbers then made off from the incident, which took place in Johnson Court, Southbridge, Northampton. The first man was Asian, aged 17-25, around 5ft 4in, of thin build and was wearing a black leather jacket and dark jeans. He had short black hair and was unshaven. The other man was aged 25-17, 6ft 3in, of large, muscular build. He wore black tracksuit bottoms and top and black basketball boots.